Terminal diseases are depressing. Chronic diseases are anxiety-producing. Cystic Fibrosis is both. Across the country, CF Care Centers will soon begin screening (and, for some, treating) CF patients and their families for anxiety and depression. 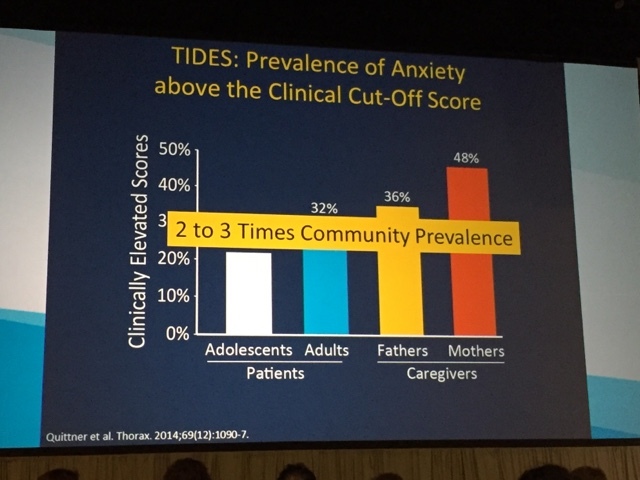 A recent international study showed that CF caregivers and people with CF have a depression/anxiety prevalence of 2-3X higher than that of the general community. Out of caregivers and those affected by CF, CF moms scored the highest in anxiety and depression. This study also showed that if a caregiver had a higher anxiety/depression score, the child was likely to as well. 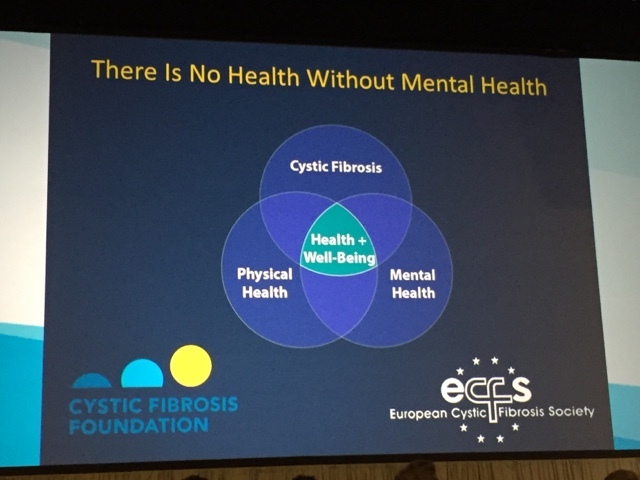 CF Foundation announced at NACFC that they believe mental health is an important unmet clinical need. * offering trainings for CF clinicians on cognitive behavior therapy and psychopharmacology. There was naturally a lot of excitement in the room when this announcement was made. I think everyone was relieved to see a plan in place for addressing an issue that most already recognized: CF can take a huge toll on one's mental health. I am so appreciative that the CFF is being forward-thinking in this area and bringing awareness to this issue. Hard work was put in to this study and its' coordinating plan to address what to do with so many in our community struggling to cope. I'm a huge proponent for psychotherapy and the use of medication to treat mental health issues. I'm so glad that the CFF is encouraging conversations between doctors and patients/caregivers regarding this issue. 1.) I'm concerned that surveying and referring CF caregivers and patients to mental health resources may lend itself to be a "quick fix" to a much bigger problem that has yet to be addressed: the cognitive burden CF brings to a family. 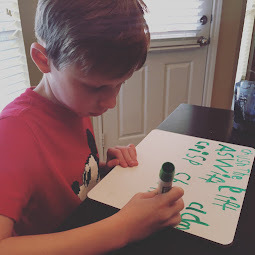 The fact that CF moms, who very often (although not always) carry the caregiving burden for the child with CF, have the highest rates of anxiety and depression gives us some insight in to the fact that this issue goes beyond the disease itself. 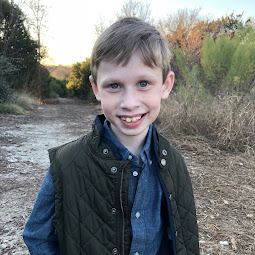 As a CF community, we have to address the fact that while CF treatment may be keeping us healthier, we have a "quality of life" issue that must be addressed. 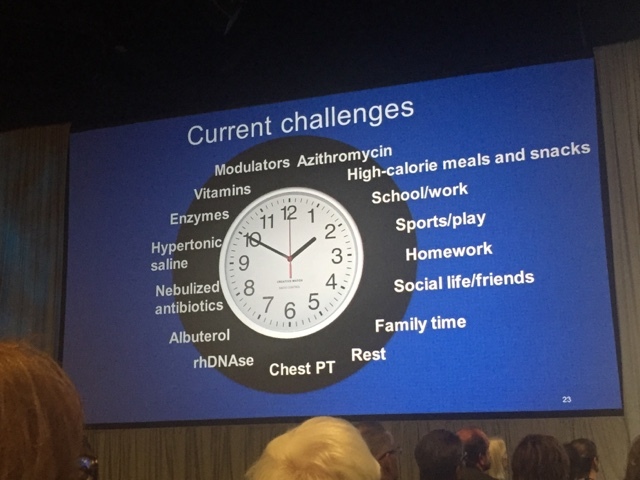 So much of CF care today is filled with a day-in and day-out, over-and-over-again monotonous time-intensive treatment regimen - paired with a lack of confidence, at times, that what is being done is right or best - and punctuated by infections/flareups/exacerbations that require significant logistical changes. As people with CF grow up, more and more medications and treatments are added over time. 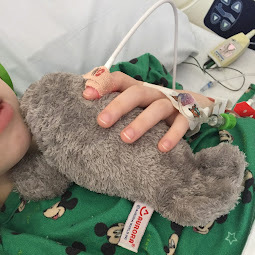 This takes an emotional toll both on the person with CF and their family. What I wish CF clinicians understood about CF is that simply referring patients and caregivers to a therapist or simply prescribing a pill is actually, inadvertently, simultaneously adding to our cognitive burden. It's one more appointment to arrange, one more pill to remember to take, one more co-pay to make. 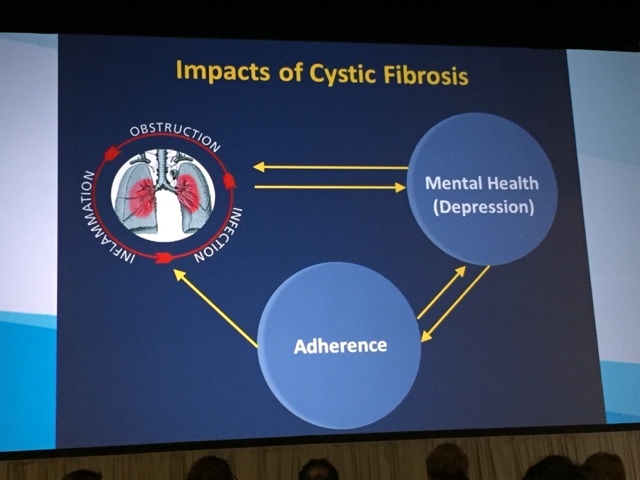 I wonder how significantly beneficial to the mental health of those in the CF community it would be if we addressed the cognitive burden of Cystic Fibrosis. 2.) I'm concerned that if there is not mutual trust between the patient and the healthcare provider then surveying people with CF and their caregivers for mental health will not be ultimately beneficial. It's well-known among patients/caregivers that some patients/caregivers are not always fully forthcoming or honest with their healthcare providers. This isn't because they don't want to be. Many times this lack of honesty is due to a lack of time to talk further in the clinic. Sometimes it's due to the patient feeling unheard. Other times it's because the patient/caregivers fear that they have to say would upset the clinician. Whatever the reason, we know patients struggle with this issue. Trust is fundamental to bringing value to the patient/caregiver screenings. 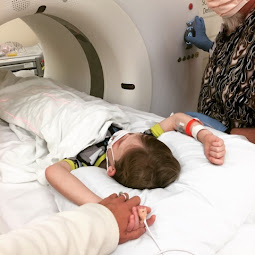 If patients and caregivers are not already feeling a sense of trust with their CF Care Teams, if they are already not open about their lives with their healthcare providers, they will not likely share their issues with depression and anxiety. How might we address building greater trust between patients/caregivers and those who care for them? My suggestion would be for their to be more opportunities healthcare providers and for patients to work together outside the clinic, to get to know each other as humans first. Maybe this shared trust could happen through working together on a patient and family advisory council. Maybe NACFC provides opportunities for clinicians and caregivers to get to know each other better. Maybe social media provides a place for clinicians and patients to interact. However it happens, if patients and healthcare providers can learn to talk to each other about normal human things first, it will be easier to talk about more challenging things like feelings of depression, anxiety (even thoughts of suicide). Clinicians, in caring for their patients' well-being, are often concerned about patient "adherence" (adherence describes whether or not a patient is taking the medications/treatments that have been prescribed for them). 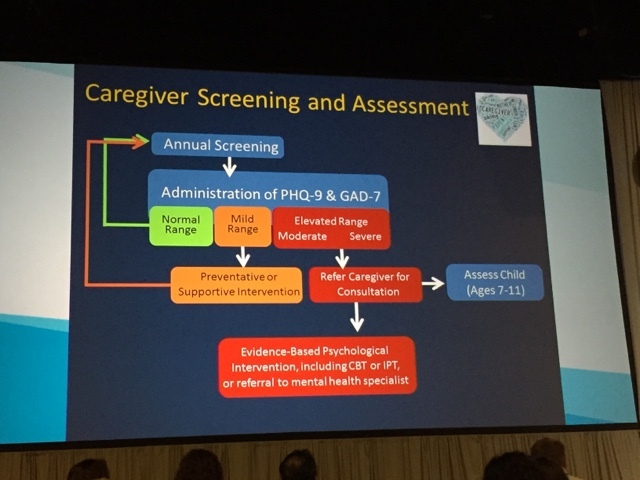 It was mentioned at NACFC that improving a patient's mental health will likely improve their adherence to their medications. Listening to patients/caregivers and truly understanding the reasons why CF patients/families struggle to do their meds may give greater insight in to not only "adherence" issues but also why mental health issues in the CF community exist at all. I am proud of the way the Cystic Fibrosis Foundation works to relieve the pain and suffering of families with CF. How might we work together to maximize these efforts? Let's look to relieve the cognitive burden of CF and build a greater mutual trust between healthcare providers and their patients/caregivers. I believe doing so will greatly improve the mental health of everyone fighting this unrelenting disease. I was nodding my head all through your first point!! You said exactly what I have felt. As a caregiver, I am doing my best to take care of myself and I am so grateful for counseling and a little pill. But I watch my boys and know that they need counseling, too. But that's one more appointment, one more Doctor to visit, and one more way to set them apart from their peers. It is something I will do, I'm just trying to figure out the right time and balance to everything. I am glad this is getting addressed although I do agree with your concerns. It will be interesting to see it implemented.